Last month, I quietly went on The 21 Day Sugar Detox, and just finished it this past Sunday. I wanted to experience it before talking too much about it, and now I’m here to share the detox with you and give you a sense of what it is, what it’s like, and if doing it would be right for you. The 21 Day Sugar Detox is a program created by Diane Sanfilippo, certified health consultant and huge player in the Paleo world. 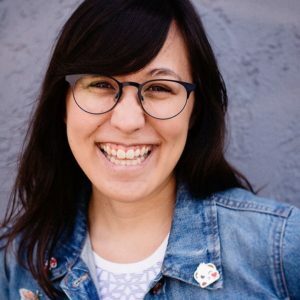 She’s the author of Practical Paleo and is half of the podcast team behind the Balanced Bites Podcast, and she has her own gluten-free, paleo friendly spice line called Balanced Bites Spices. The program is designed to eliminate pretty much all sugars, processed foods and carbs, gluten and alcohol from the diet to give your body a chance to recover, reset and to take your blood sugar off a crazy rollercoaster. When you eat too much sugar and refined carbs and processed foods, your blood sugar is constantly spiking, which causes those energy slumps, hanger, and the feeling like you can’t get through your day without coffee. By cutting those foods out and focusing on real foods that are lower in sugar, your body can balance itself out and your blood sugar can fall into a more natural rhythm. The plan detailed is in Diane’s book, The 21 Day Sugar Detox. It explains how too much sugar can be harmful, lays out the plans, and offers a slew of recipes to try, as well as resources for 21DSD (the abbreviation for the program) friendly foods and ingredients. You can also sign up on 21daysugardetox.com and join an online program that gives you enhanced access to the program, like online forums, Facebook groups, and additional support. There are various levels of programs depending on the support you want, and they do charge. The prices are pretty reasonable, and some include the book so you don’t need to make a separate purchase. The book has all of the information you need, so if you prefer to just use the book, that can also work. There are also coaches that can guide you through the detox. 21daysugardetox.com runs a detox each month on their site and you can also find a certified 21DSD coach in your area or online that can give you guidance through the detox. Coaches may or may not run their detoxes at the same time as the site. 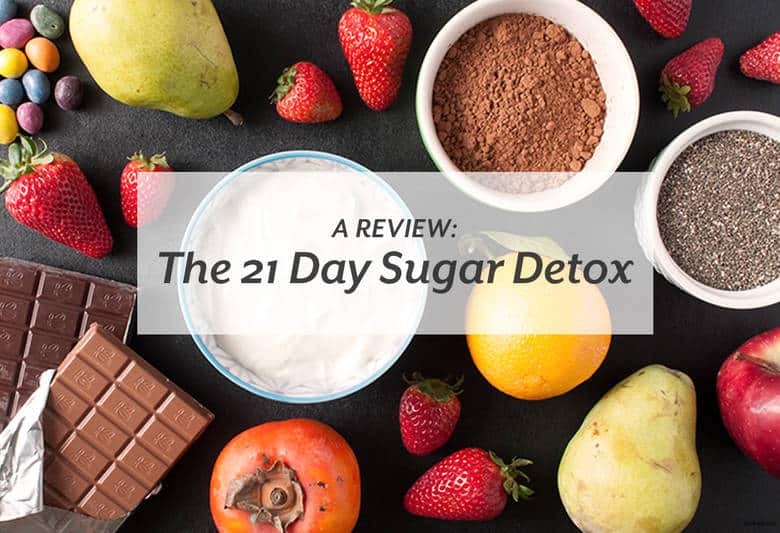 The 21 Day Sugar Detox lasts for 21 days and there are 3 main levels to choose from. The book has a quiz to determine which level would be right for you, depending on any health issues you’re working though or health events like pregnancy. Each level has modifications if you’re pescatarian, work out or lead a very active lifestyle, and the third level also has modifications if you’ve got an autoimmune condition. It’s recommended to start with the first level if you haven’t done the detox before. The first level allows gluten free grains and beans, whereas the second and third don’t. The second level allows dairy, and the third level doesn’t. The third level is more what I see as strict paleo. Each level has a list of foods you can eat, foods you should limit, and those you shouldn’t eat. If the idea of trying to make recipes from these lists is overwhelming, each level has a meal plan laid out for the whole detox and they’re all in the book. The recipes clearly state what levels they’re good for and if you would need to avoid/modify the recipe for AIP or any food allergies. 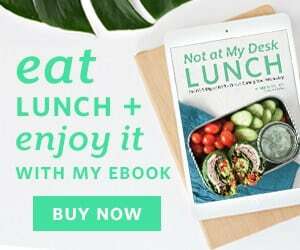 The 21DSD Pinterest page also features 21DSD compliant recipes from other bloggers if some of the meals don’t really speak to you. This program is perfect for lots of people. If you get hungry during the day, crave sweet things at the end of a meal or during the day, crave carbs, get energy dips throughout the day, want to lose body fat, have trouble sleeping… sugar can cause and mess up all of these things. I took it because I’ve gone off of birth control, and cutting out sugar is highly recommended to help with your hormonal balance as it starts to wake up again. And I definitely crave carbs and sweet things at the end of meals more than I would like to admit. Also I was curious to see if I could do it. Having the book as a guide can help you figure out what to eat on this detox, so it can appeal to lots of people of all skill levels with cooking and thinking of recipes. People I know have also done this with their entire family or friends as well to get additional support. I bought the book and chose level 1. I’ve never done a detox, so I was good with easing into it. Sara Lloyd, fellow NTP and friend of mine is also a 21DSD coach and was leading a coaching group at a time that worked for me, so I signed up and paid to be in her group. She had a private Facebook group, sent out weekly emails, and had 3 coaching calls, one per week to address issues and answer any questions. I didn’t pay for any additional online programs, I personally felt like I didn’t need them. I’m also a NTP, so I understood more of the nutrition that was going on behind this and how things worked, so keep that in mind as well. I meal planned and cooked food like I usually do, I just used my Yes and No foods list to direct any decisions in what I would make, eat or buy. I checked the list often just to make sure each week I was doing things on program. I didn’t feel the need to follow the meal plan in the book, but I recipe develop and cook all the time, so it was a challenge I enjoyed taking on. For the most part, cooking and sticking to the approved foods went well. I mostly missed sweet potatoes and cashews, which were on the avoid list. I really love sweet potatoes and might lean on them more than I thought to add a little extra bulk to a meal, especially if it’s light on the animal protein. I did miss peaches a lot, I ate one a day during the work week before the detox, and it did feel sad to walk by my favorite fruit stand at the farmers market for three weeks and not even have a sample of some amazing summer fruit. Social events got a little more of a challenge. Being gluten free can already present a challenge, depending on where you go, and also being on a detox that cuts out processed carbs, flours and booze made some events really interesting. At a work happy hour I stuck to water and had a bunless burger (even though the bun was gluten free) while others sipped on wine and enjoyed pizza. I went to a yoga and wine tasting event and brought my own kombucha and 100% dark chocolate (that doesn’t have sugar and can be hard to find!) to enjoy instead of the wine, chocolate and fruit my friend was having. I went to a few other parties sober and either brought or made my own food so I could eat within the detox guidelines. I did eat out a few times, and did as much research as I could to find food that would be unsweetened with sugars and went with whole foods when ordering. A lot of things are going on for me physically, so it’s hard for me to pinpoint changes to the detox, but I know they helped. My eczema stayed down and only flared up when we had crazy heatwaves or I didn’t drink enough water. I don’t measure myself, but I’m pretty sure I’ve lost some fat since the detox happened. The cravings are mostly at bay, and doing this detox forced me to get my breakfast situation together, which I know set me up for success during the day. What was hard then and interesting to look back on now was just how much sugar is in EVERYTHING. Yes, obviously fruit has it’s own sugars, but so many foods sold are sweetened (even jerky and meat bars, much to my dismay during the detox) in some form. While that’s not terrible, lots were sweetened with fruit, it was really eyeopening and makes it really clear how easy it is to eat more sugar than you thought. It was frustrating during the detox to look for high and low for unsweetened chocolate/cacao and not really find too many brands, to pass on fruits at events, and just see a whole lot of “nope” when I read food labels. With all of my experiences and fruit and sweet potato FOMO, I would do the 21DSD again for sure. The 21DSD is a detox and not a way of life, so I would allow for some time to pass before doing it again. And I would probably wait for a time when I didn’t really love the fruit that was in season, to be honest. I like fruit, so anything to make me miss it less during a detox I’ll try. I would also make sure to choose a month without a huge amount of social outings, like the holidays would be a bit much. If there were social outings, I’m going to continue to make it work for me, and depending on what it is, even just bring my own food. That was something I’m just starting to be comfortable with, and I would lean into that more. There were times on the detox I didn’t have enough fat or protein and needed a snack, so I would up my fat and or protein at meals and have more 21DSD friendly snacks in the house or on hand in case the hunger struck. I personally don’t see the need to do the detox with a coach again. I understand the different levels enough from doing it once that if I did level 2 I feel confident doing solo, which I mostly did this time around. The book answers enough questions for me if I have any, it’s very comprehensive. If you’re thinking of doing the 21DSD, give yourself time to prep and prepare. The book will help you get set up, don’t forget to listen to it. I felt confident enough that I could find things on my own and be a little scrappy when needed. If you don’t feel like you could do that, meal prep and set yourself up for success. Also make it clear to your significant other, roommate, friends, close family you see all the time that you’re doing this detox and share the foods you can and can’t eat. The support is very helpful to sticking to the plan, even if they get it or not. If you want additional support, look into the online programs or get a coach. You can work with my friend and 21DSD coach Sara Lloyd, NTP as well. She’ll be starting up new programs soon. Stay strong, even with social situations. I did feel really weird at social events when I wasn’t doing what everyone else was doing, but I also noticed that most people didn’t notice. Or if they asked (especially around drinking), a simple “I’m not drinking tonight” or “I’m on a detox” was enough for most people. Resisting fitting in to serve your individual health needs is a new muscle you may start to flex with this detox. Have any additional questions about my experience with The 21 Day Sugar Detox? Leave a comment below or send me an email at hello (at) small-eats.com.